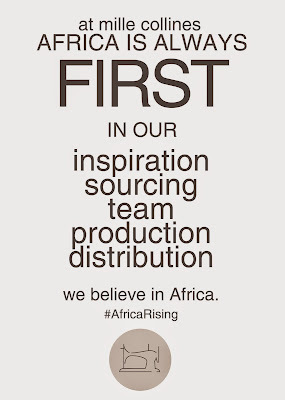 Since we founded mille collines in spring of 2009 in Kigali we have always followed a strong vision: Africa first. 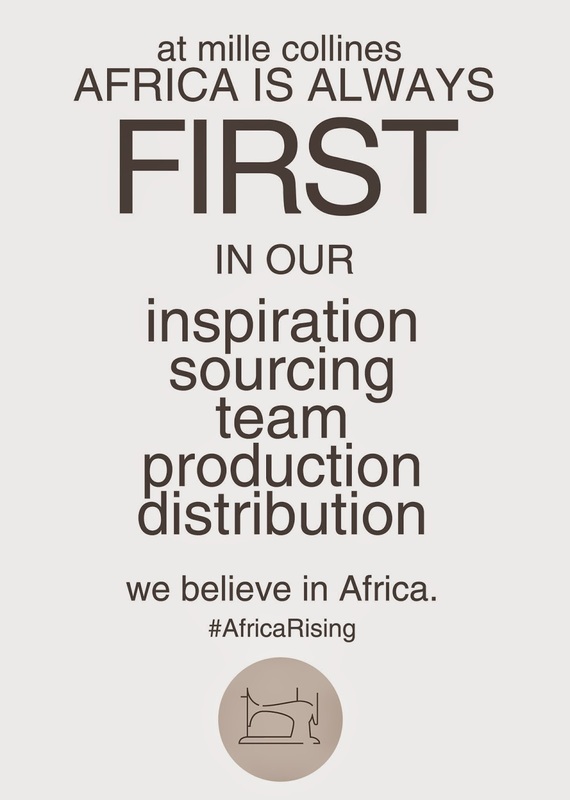 At very early stages of the project we decided that we wanted to bet for the African continent not only to establish and produce a luxury African fashion brand but also to distribute it. Thats how we opened in the summer of 2010 our first stand alone store in the city of Nairobi. Today, we have 5. Very often, we are asked about our expansion to other international markets. There is a big urge in the mentality of the people in the industry in Africa to take their talent, brands and projects outside of the continent, as if staying here made them invisible. At mille collines we believe that staying inside makes us more interesting and give us time to grow our companies in a pace that is aligned with our operational model. We have always defended that an African brand must root itself; connect the creation of the products to the consumers in its regions. Africa is becoming a sophisticated market where local luxury brands have a great opportunity to thrive and expand. What helps new companies succeed is the ability to stay focused. International markets are huge, highly saturated and very complex operationally for a young and new company. In an exciting move, we have been invited next week to attend the Retail Congress of Africa in Johannesburg with speakers that go from the expansion general manager of Mango to the Director of integrated retail of Walt Disney. Why should we move out when the world is starting to move in?